It’s pretty much what you’d expect from a movie with soldiers trapped on an island with monsters. Lots of attacks, shooting, and running. The visuals were impressive, especially in 3D. The first encounter scene is breath taking and incredible to watch. They did an excellent job on Kong. The acting was decent, especially considering the cast, but everyone was a supporting actor to Kong. This is the perfect popcorn film and an enjoyable ride. However, it did seem to lack something that would raise it to epic. Still not sure what, just that it missed the mark. I think the best Kong film is still Peter Jackson’s King Kong from 2005. That said, it’s still a lot of fun and a great monster film. Recommended. Talk about the spiritual connection we have with animals and how God uses them to help us cope and understand. Some people feel that animals were our gift when we needed them for chores. Most of us don’t plow gardens using animals these days, but we still need their help – perhaps even more than ever now, since many of us aren’t outdoors enjoying that sunset! We need animals, both domestic and wild ones, to give us relief from stress and sadness and to provide joy and actual healing. There are medical studies reporting that people who live with animals are healthier in various ways, such as lower blood pressure. When God tells us to “ask the beasts” so they can teach us, He doesn’t want us to learn plowing lessons from them. He wants us to know Him by learning from animals about trusting Him to meet our needs. When we get really good at this, the animals will speak to us – and so will God. Maybe God will even use an animal to speak to us. Maybe it’ll be a deer. Maybe it’ll be a sparrow. Maybe it’ll be a barn cat. Published by Dancing Lemur Press, L.L.C. 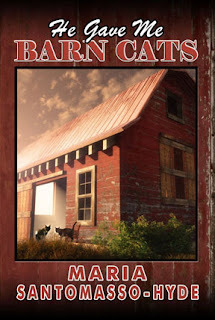 Follow MC Book Tours for your chance to win a free copy of He Gave Me Barn Cats! Caught this on NetFlix. Soldiers are sent to an island to test the latest AI killer robot prototypes. They are successful at first, and then the tables turn and it’s a fight to stay alive. This movie is a nod to Terminator and robots-run-amok flicks. While it doesn’t offer anything really new, the film is suspenseful with great pacing and tense scenes. The robots are also impressive, especially digital vision of the mechanically enhanced company woman sent along to analyze. This film had a tiny, tiny budget and they made the most of it and then some. For those a fan of science fiction, robots, soldiers, or any combination of those elements, this is a really good effort and enjoyable film. Recommended. Now open – the IWSG Goodreads Group! Dedicated to the writing craft, this group is made for writers. Not on Goodreads? The IWSG book club is a good reason to join. Don’t do much on Goodreads? This is an excellent way to dip your toes in a little more. Not enough time in your day? We read one book every two months. 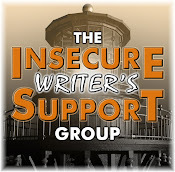 OUR GOAL: The Insecure Writer's Support Group (Book Club) is for writers to read/learn about the writing craft. In this book club, we will swap back and forth between non-fiction writing books and fiction books that demonstrate how to do certain aspects of storytelling. No promo. No review or beta reader requests. Just writers reading books and discussing those books with other writers. C. Lee McKenzie’s book, Sliding Edge, is free right now at Snashwords and Amazon. Anyone else go see Skull Island? Do you think animals are a gift from God? Seen Kill Command? Every heard of the band Astronoid? Get any of the trivia right? (No one got a perfect score last week, but a couple were really close.) 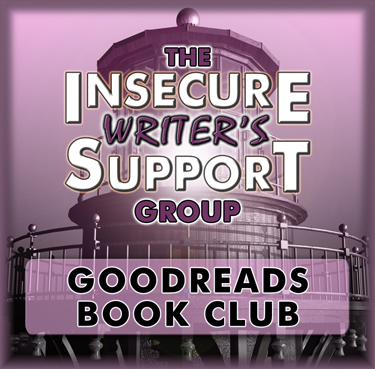 And who is ready to join the IWSG Goodreads Group? I might have to see the Kong movie, although it sounds like it's the usual Kong stuff. Nice guest post. I like the reminder that we should listen to what animals are saying to us and that God speaks through them. Goodreads group! That's a cool idea. Kong just keeps on going. Sounds like they have modernized this one. Think I'll have to put it and Kill Command on my list to see. The IWSG Book Club on Goodreads sounds like a great idea. Congrats to C. Lee and Cathrina. I believe animals are a gift from God. Alex, thanks for being a part of Maria's tour. Sorry but neither of those movies sound good. Awesome that the IWSG is starting a book club on Goodreads. I probably will join but not sure how much I will read since I'm not writing fiction right now. But I think this is an example of how supportive this group is. So awesome! I doubt I willingly watch Kong. It could happen. wishes to Maria Santomasso-Hyde with her book tour. Great idea for a novel! The ISWG bookclub is a win win. I'll be there. I just joined the Goodreads group. Should be interesting to see what the picks are. For the music theme, I probably would have gone with either Air Supply (yes, I remember them!) or "In the Air Tonight." Alex, thanks for the review on Skull Island. The trailer looks somewhat interesting but like most King Kong flicks, I don't have a dying eager to go see. If this movie makes its way to Netflix then chances are good we'll watch it. Nope, I haven't seen Kill Command, either. However, if it's still on Netflix then I'll consider giving it a try on your recommendation. No, I haven't heard of Astronoid before now. I'm really batting a thousand here this morning. It was interesting to hear but I don't think it's something I'd want to listen to a lot of if all their mewsic sounds like this. Thanks for hitting the dance floor with the 4M gals today. It's always fun to have you join the party! Have a good week and be blessed, my friend! PS: Your verification thingy is a bit crazy...just saying! Another great line up of info today, Alex. The Goodreads books is an awesome idea. Will check that out. Animals and children, they show us the way, if we area willing to look, listen, and let them lead. Kong should be an interesting revisit. Not so much the story which appears to be ordinary but more of the current wave of electronic wonders perhaps. The Goodreads IWSG grouping fills a void for the relatively untried. It should do a lot to boost morale. Yes, animals! Funny enough! They are very intelligent in their own sort of ways. One can relate well to the good ones. "They bought their tickets...they knew what they were getting into." Congrats on the new books out there! I definitely think animals are a gift from God - I especially feel that after seeing what I saw in Africa - those big cats in their natural habitat. What a fabulous idea - the book club on Goodreads. Will think about it. Mason, happy to be part of the tour. Sandra, thanks! In the Air Tonight has already been on one person's list today. Heather! Big score for the Airplane reference. Swami Vivekananda (most famous for his speech starting 'Sisters and brothers of America...') said 'he who loves a living creature, he's the one serving God.' And of course Coleridge said it as well - he prayeth best who loveth best all things great and small. Wish the author great success. I've read so much about robots with Isaac Asimovs Robots and his 3 laws. 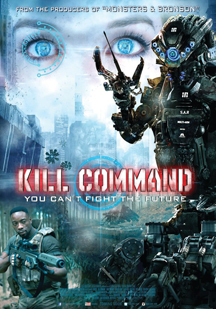 Kill Command sounds terrific - I dunno, I always get excited about inteligent creatures whether organic, android or robotic. Animals are definitely gifts, especially cats. Love my cats. And pretty much every other furry or feathered thing. Snakes are a bit tougher to love, but I can respect them. I think. As long as they keep their distance. Yes, I would like to take part in a book club, but am picky about what I spend my reading time on, so I'll have to see what's selected. I joined the Goodreads group! I'm interested to see what we read and how it goes. 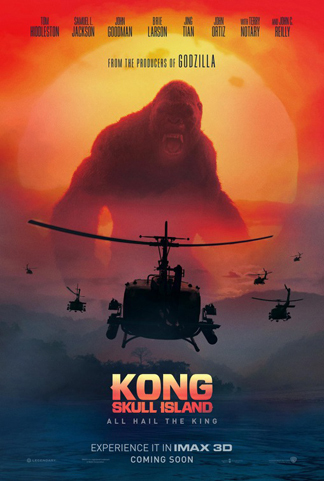 I think I'm "Kong'd" out, but the fact the movie is set in 1973 does kind of interest me. I'll probably wait until it's on HBO or something. As an animal lover, I'm looking forward to reading He Gave Me Barn Cats. I think my cats will enjoy the story too. And I agree that God means for us to take care of the animals. We can learn a lot from them. Have a great week. C. Lee's book is a great one too. I enjoyed it. I believe animals are a gift from God. And our cat should feel very lucky God gifted her to us, because anyone else would've kicked her fuzzy but to the curb. Thanks for featuring Maria's book. dwellers who are unable to share this bond with animals. Nila, those were wise words. Spacer Guy, think you'd dig that flick then. Tamara, join us. No pressure to read. Thanks for the shout-out, Alex!!!! I'll probably wait to see King Kong until it comes out on Netflicks. I did like Peter Jackson's portrayal of Kong too! He Gave Me Barn Cats is a book I definitely want to read. Our life with Sassy Dog and Katie Cat is so much richer than if we didn't have them to cuddle, laugh about, and talk about. Kong seems like it's probably a must-see for the family. If the kids don't want to see it, then at least my wife and I will. She'll watch any movie as long as she gets her popcorn. I definitely think animals are a gift from the Creator. I've had too many experiences with them to think otherwise. Oooo, a Goodreads group! Exciting. I've joined. Thanks for the movie review. I love Kong sequels and plan to see this one. I also just noticed that the 1976 Jessica Lange film is available on Hulu and I have it bookmarked. I very much appreciate and agree with Maria's beliefs about animals and their relationship to humans. For someone like me, He Gave Me Barn Cats is a must read book. I like Kong movies up until they drag him to New York. I hate that. King Kong sure has changed from the original. I'm interested in the IWSG Goodreads Group! I have no doubt the barn kittens helped Maria to heal; animals do that if we just let them. Dogs are far better listeners than people. They don’t judge they just offer comfort. Definitely, yes, animals are a gift from God. So precious! King Kong, love it! Any monster movie, really, but he's special! And I agree the one from 2005 - great movie! My son went and saw Kong this weekend but wasn't impressed--but he didn't even know who King Kong was. I'm going to have to catch him up on that cultural end. Congrats to C. Lee and Cathrina! 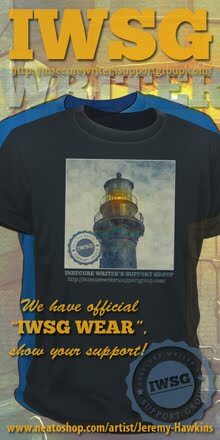 And wow to the new IWSG group. It's growing and growing and growing! Okay, music is always first with me thanks for the introduction first of all. Never heard this one before, but very listenable. Now I have to admit I love the video more than I love the music. Great video! Thank you so much for joining us!!! You're always welcome because you totally ROCK! Now as far as your King Kong review... I totally agree with you. To me it's kind of like the old King Kong accept it's made with 2017 knowledge. Every King Kong I've ever seen same thing, but I do like the movie and saving the King is the best part & the King saving his best friend. Now not sure what Kat was talking about your what was crazy??? Hmmmmm Don't understand that one! Now switching channels here I'd like to sign up for that A to Z fun stuff... do you know where I sign up at ???? I'm glad Kong was good, but sad to hear it missed the "something" that pushes it to epic. :( The bookclub sounds great. Congratulations Maria. Yeah, Kong doesn't really look like something I NEED to see in a theater. I'd much rather have a barn full of cats. Oh God, is this what being old sounds like? Cool about the book club group. I will wait to see Kong on digital probably. Jackson's Kong was a giant gorilla movie turd. I'll probably wait for this on disc. Kong: Skull Island looks like a fun movie to watch. We enjoyed Kong, despite lack of lustrous reviews. It has a change of focus from Kong taking the blonde woman, getting gassed and then taken to America. then climbing the Empire state bldg. No, this Kong actually has a purpose: to protect the humans from a nasty nasty carnivore. He seemed to be a problem solver (ship propeller), and recognizes weaker species. Actors: John C. Reilly, Samuel L. Jackson (misguided, proud, arrogant), and Tom Hiddleston. they hold the film together with a weak plot. The way Jackson's glaring eye close-in matching Kong's glaring eyes is great. We'd planned on seeing the Kong movie this weekend but other things came up. We've heard good things and still plan on seeing it. Did not catch movies this weekend, but I did go to a symphony. Music tames the savage beast, right? Alex -- Thank you for allowing me to guest post on your amazing blog! I've really enjoyed being here, and I love all the great comments you get from your readers! Thank you all! You have me interested in seeing Kong, Alex. And it looks like the filming was spectacular. Ken, it's the perfect popcorn movie. Sandra, no going to New York in this one. Barbara, so did I! I really liked the way Jackson handled the material. Marie, there is no sign up list this year - just posting your link daily at the A to Z Blog. See that site for details. Birgit, animals can do miracles. Brandon and Bryan, sounds more like a crazy cat guy. Susan, those two were definitely enemies matched. Alex -- Wanted to tell you that I find it hilarious that you asked me to post about ANIMALS on the same day that you're posting about King Kong (one of the biggest, best animals)!!! Did you plan that on purpose? If so, you are quite clever! Thanks again for posting about my book, HE GAVE ME BARN CATS. Of course we have a lot to learn from 'dumb animals'. Not least tolerance and lack of prejudice. Congratulations and thank you (as always) to all writers. Maria's book sounds so intense and powerful. I love her perspective on animals. Being a non-pet owner (we travel too much), it really gave me some insight into what I might be missing. As for the rest, I may see Kong, and I will be sure to get popcorn. Congrats on the new Goodreads book club, and to all the new author books. I see why I couldn't get any of the trivia - I haven't seen any of those movies. Animals are so loving and forgiving, and more accepting than many humans. They don't care if someone is ugly, poor, deformed, or part of an oppressed group, but only that that person loves and takes care of them. One of the animal pages I follow shared an image with the story, "God sent dogs as angels to Earth, with notes saying, 'Don't hate, just love.' They ate the notes, but they've been trying to deliver the message ever since." I love stories of animal heroism, particularly unexpected stories, like the pet pig Priscilla who saved her two-year-old boy with Down Syndrome from drowning. I also love stories of animals' loyalty, like pets who walked hundreds of miles home, kept waiting for a missing loved one to come home, or kept vigil by a loved one's grave for years. I hear that Kong is doing well enough to unseat Logan from the box office. Pretty impressive. Waiting for Cathrina's book to come out so I can start reading! I don't remember a 2005 King Kong movie. I'm now losing touch with movies that came out a decade ago! Never heard of Astronoid, but that cut had me gasping for air. Guess I'm getting old. Now to listen to something kind of soft and relaxing. My son said nearly the same thing about Kong that you did. Might check out that Netflix movie when we're under a foot or more of snow tomorrow. I believe our ability to connect with animals is a gift from God. I really liked Maria's guest post. So true that animals teach us about trusting God. Congrats to Maria, C. Lee and Cathrina on the new book releases! And the ISWG book club sounds intriguing! I am not sure King Kong is on my list of must see movies, but it seems many are going. It may be something I will see when it hits Red Box. "He Gave Me Barn Cats" sounds like something I would enjoy reading. I do believe animals have the ability to guide us in many ways. It truly sounds like a heart-warming story. I will add it to my list of must reads. Maria's book sounds hauntingly wise. I'm Irish, which means Celtic, which means I've got a broad mystical streak, and a lot of native culture like mine teach that animals can be messengers from the other side, and that in their everyday lives they're connected to things spiritual the way we aren't. I wish Maria peace and love, and I'll check out her book. I plan to see Kong soon. Kill Command sounds very interesting. I think all of creation is a wondrous gift from God! And I think God can work ALL things to his purpose. If He needs to reach us, touch us, minister to us He will use whatever is there, or whatever He knows He can speak to us most effectively through. I do believe that many times God chooses to use for either reason. That said, still His ways are not ours so this is only my opinion. Maybe Kong is a must-see in 3D because I wasn't impressed with the CGI in 2D. The story was way too much like Jurassic Park 3, the actors were not given the chance to do much because the characters are so thin. And yet...I liked it in spite of myself. So, that would totally be a good reason to join ISWG, Goodreads, and all. There was just a speaker nearby (at a writers group) who wrote a book on injecting emotions into your writing. This would be a good book for the group. But, alas, I'm not in ISWG or Goodreads (I know, I need to fix that). The story of finding healing through a connection to animals reminded me very much of Touching Spirit Bear. Not suggesting that the stories as such are in any way alike, but the theme of healing and spirituality seems to be common. I think the IWSG Goodreads group is a great idea! I definitely had to join in! I'm watching Skull Island tonight and I can't wait! I couldn't agree more about Peter Jackson's version of King Kong - it was near perfect! Maria, you're welcome! And I don't plan well - it just lined up well. Rhonda, that would hinder you if you hadn't seen them. Carrie-Anne, they ate the notes - funny! Lee, I can post something even faster and harder if you like. Karen, that probably made a difference. Liz, join Goodreads and us! I do think animals do a wonderful job with people who are sick, especially in hospitals. Also sick children seem to benefit from the animals visiting too. I wish we still had a dog, but not fair to the dog to live in an apartment and we could no longer take one out for walks. Animals are definitely a gift from God. They give us comfort, wisdom, and love. The IWSG bookclub looks like a good idea. Is the A to Z Challenge being downplayed this year? I miss the energy of gearing up for it. Just joined the Goodreads group, thanks! The barn cats book sounds adorable. Wishing much success to He Gave Me Barn Cats. What a lovely sentiment. I'll probably see it at some point but I don't typically make much effort to get out for new releases in the same old franchises, Kong, Godzilla, etc. I do believe animals are a gift from God. I had a dog growing up and she was there for me during my most trying of high school times with her shiny brown eyes and always a wagging tail. I could do no wrong and she kept all my secrets :) great post! I might see Kong... probably just for my honey Tom Hiddleston. But I agree, it would be hard to beat the 2005 one. I love to cover for He Gave Me Barn Cats. It's such an amazing story. A real tear-jerker. Yep I joined the IWSG Goodreads Group. Thanks for the Kill Commando recommendation. I'll put that in my Netflix que. And yes animals are an excellent form of therapy. There's an app now if you go on vacation you can leave your pets places like retirement homes or someone who cannot leave their house and could use some furry friendship. Very cool! Because of you I may watch KILL COMMANDO. Kong will have to wait for DVD. I do plan to see GHOST IN THE SHELL. The anime GHOST IN THE SHELL 2: INNOCENCE is mind-blowing. Skull Island sounds like a lot of fun. I hope I see in the theater before its gone. Yes, I think animals can be a gift from God, but sadly some people are nicer to animals than other human beings or even themselves. I consider my dog and turtle to be great blessings in my life. I knew del Toro did Hellboy; I didn't even try to guess the others. I'm looking forward to the IWSG Book Club. Aloha, my friend! I appreciated the information and the link to the IWSG's Goodread Group which I joined. Sounds like fun! I'll have to get my books updated on Goodreads. Maria's book info really made me stop and think, especially whenever I see a sparrow, it always makes me think of God. So yes, I think animals are a gift from God! Have a good one! Animals are definitely a gift and I think it's awesome that God is so creative in all of his creation(s). I think I joined IWSG Goodreads. Hope all is going great, Alex! Kong... Did you know they brought the Kong Ride to Universal Studios in Florida about a year ago to help promote the new movie? Ironic since it's based on the previous movie. We love it though. The ride. And it's done its job. The kids are all stoked to see the new movie. Since I'm snowed in today I may check out Kill Command (you know I love anything scifi) - thanks! As for Kong, I figured as much. As for the ISWG goodreads book club...I just might join. I didn't realize we had a book club. I love the idea of sharing nonfiction writing books. Though, I'm lukewarm about goodreads. I thought Jackson's Kong had some major issues. First, it was waaaay too long. But, second, it had some major plot holes. Some decent editing could have taken care of both of those issues. Everything I read about that Kong movie makes me think they were targeting macho men so that might ne clue as to what's missing. Top bad I don't like cats because that book about narn cats sounds wonderful. My pets as you know are always telling me stuff. I've seen so many ads for the Kong film, I don't feel as though I need to bother going to see the rest. It seemed to lack something that would raise it to epic? I couldn't agree more. My hubby saw Kong and he enjoyed it. I think he liked the visuals too. I still haven't seen Get Out yet. Hopefully I'll see it before it gets out of the theater. Mary, the Challenge is scaled back this year but it's still happening. Erika, my dog was like that. Chrys, it's very popular now! Stephen, that's a cool idea. Roland, unless reviewers slay it, I'm definitely seeing Ghost. Crystal, I knew there was a ride for it - glad it's a good one. Sandra, we just opened it. Patsy, your comment made me chuckle. I might step out of my box and go see Kong. We'll see. I def. have it as a big perhaps! I bet it's better on the big screen. Congrats to Cathrina. Wishing her much success. I fear I have so many movies on my want to see list, Kong will never make it to the top. I do absolutely believe animals are a gift from God. I love all animals, and I do believe they come to us, to give us signs, or show us the way. It's like me and my crows! "He Gave Me Barn Cats" sounds wonderful!! I'm not sure about Kong?? But, thank you for the review!!! I thought Kong might be pretty good. I never visioned in 3D. It's a go for me! Hi Alex, the book 'He Gave Me Barn Cats by Maria Santomasso-Hyde' sounds lovely. I will add it to my TBR list. I'm sure I'll love it. 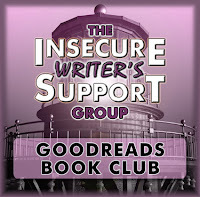 Congrats that IWSG has joined Goodreads Group. Rosey it's definitely a big screen event. Kane, at least you got that. LD, that was really funny. Pat, glad I could suggest a flick for you. I saved Kill Command for St Patrick's Day, haha hope I don't get smited or something. I don't know if this will surprise you or not, but Kong is just not my kind of movie. I suppose I'd watch it (maybe) when it comes on TV, but I don't see myself seeking this one out. Soldiers trapped on an island with King Kong trying to kill them. People going to test robots trapped on an island with said robots trying to kill them. Hmm. I know what to do - stay the heck off the islands!! Congrats to Maria and Cathrina on their releases! Shall not be going to see Skull Island but it does seem interesting. Our animal friends bestow gifts of wisdom, of unconditional, non-judgemental love. Well done to Maria and her fascinating, even thought I don't agree with her, guest post. Never heard of the band, "Astronoid". A peaceful weekend to you, good sir. Hope you and Mrs. Alex have a wonderful weekend. I'm definitely most excited about Kong. I rarely go out and see movies, but I actually intend to see this one in theaters for no other reason than it looks big, dumb, and fun and reminds me of the old school godzilla movies. I love the spiritual perspective on animals. I like the Peter Jackson Kong, and the original movie, but this one looks good too. There is definitely something spiritual about the love you get from animals. Especially dogs - I'm biased and have been a convert to them in recent years, but a dog will stick by you no matter what. Can't always say the same for humans. So how did I miss this post? Sliding On The Edge is a fab story...Lee is such a good writer! Ooh, Maria's book sounds so interesting. Adding to the wishlist!